All applications for Year 7 school places are made through Brighton and Hove School Admissions Team. To apply for a place, please use the links below. For data on the allocation of Year 7 places in the 2018-19 cohort, please click here. Further information about the process and timeline of Year 7 admissions can be found below. 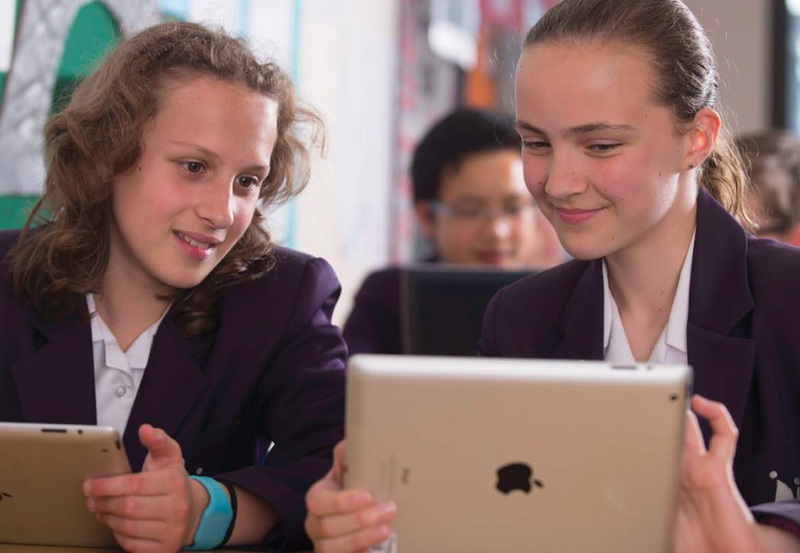 The deadline for accepting an offer of a Year 7 place for the 2019 cohort is 16th March 2019. To accept your place, please ensure you return your Pupil Registration Form to the school office or to admissions@kingsschoolhove.org.uk by this date. If you have been offered a place but not received a Pupil Registration Form, please visit the Brighton and Hove School Admissions website to download a form. If you did not receive a place at King's, please email admissions@kingsschoolhove.org.uk and notify us that you would like to be added to our waiting list. We will follow the priorities and criteria laid out in our admissions policy when making offers from the waiting list, and students will be offered places from the waiting list one a like-for-like basis when a space becomes available. For example- a student who lives close to the Hove node and applied for a faith place does not take up their offer of a place with us; King's would then look to offer to a student close to the Hove node and who applied for a faith place. Please note- If you did not list King's as one of your original school preferences, you will need to submit a late application before you can be added to our waiting list. Late applications should be made via the Brighton and Hove School Admissions Team. King’s school accepts students into all year groups (except Year 11*). The planned admissions number for most year groups is 100, with the exception of the 2018-19 Year 7 cohort, where the school will admit 125 students. When a year group is full, the school holds a waiting list. If you would like your child to transfer into King's, or to be added to the waiting list for a place if their year-group is full, you need to submit an application for a place via Brighton and Hove Local Authority. We are not able to admit students or add students to the waiting list without receiving an application via the LA. Applications can be made online, via the Brighton and Hove admissions website (click here to be redirected to the online application form). If you are applying for a place under the faith criteria, please ensure you complete and return a Supplementary Information Form (SIF) to the school office as soon as you have applied for a place. A student's position on the waiting list will be determined in accordance with the over-subscription criteria set in our admissions policy. Where a place becomes vacant it will be allocated to a child on the waiting list in accordance with the over-subscription criteria. Our waiting list is reviewed twice a year, and parents are contacted to confirm whether they want their child to remain on the list for a place. *We discourage students moving between schools in Year 11 due to the final year of their GCSE’s and the disruption this may cause. King's is an ecumenical Christian school, affiliated with the Church of England. Our admissions criteria allows for 50% of places offered, after those allocated to certain protected groups, to be given on a faith basis. To qualify for a faith place, families must be regular attenders at a Church which is a member of Churches Together in Britain and Ireland, or a member of the Evangelical Alliance for at least two years prior to application. If you wish to apply for a faith place, please ensure you submit a Supplementary Information Form directly to the school, when you apply for a place. This form must be signed by your Priest/Minister. The deadline for submission of SIFs is 30th November 2018. King's School follows the same timeline as Local Authority schools for applications, offers and appeals. The timeline for the 2018-19 academic year can be found below (taken from the Brighton and Hove Admissions website). Details for the 2019-20 application process will be available in due course. Parents/Carers (including prospective parents) may be interested to view the provisional performance table for Brighton and Hove secondary schools, for GCSE results 2018, which has now been published online by the Department for Education. Click here to be redirected to the Department of Education's website. 31 October 2018 The deadline to apply for a school place is 11:59pm. 22 January 2019 The deadline to apply late for a school place with a good reason. February 2019 Applications are looked at and school places are decided. 1 March 2019 National Offer Day. If you applied online you'll get an email from school admissions to let you know the outcome of the application. If you applied by post, a letter will be sent to you by first class post. 16 March 2019 The deadline to accept or refuse the school place offered. If you don't reply the offer could be removed. 29 March 2019 Deadline to make an appeal if your child wasn't offered a place at one of the schools you listed as the first, second or third preference. April to August 2019 Appeals are discussed and decided at meetings called appeal hearings. Children in the reallocation pool are offered school places as they become available. September 2019 Children start school.